Thoroughbred owners and trainers with talented 3-year-old fillies in their care face a deadline of Saturday, Feb. 20 to make their young stars eligible to compete in the 142nd running of the $1 million Grade I Longines Kentucky Oaks, America’s premier race for the gender and age group that will be run at Churchill Downs Racetrack on Friday, May 6. Early phase nominations to America’s top race for 3-year-old fillies will close on Saturday at 11:59 p.m. (all times Eastern). Each nomination must be accompanied by payment of a fee of $200 to make that filly eligible to compete in the 1 1/8-mile event that will run on the eve of the $2 million Kentucky Derby Presented by Yum! Brands (Grade I), America’s greatest race and the first leg of Thoroughbred racing’s Triple Crown. 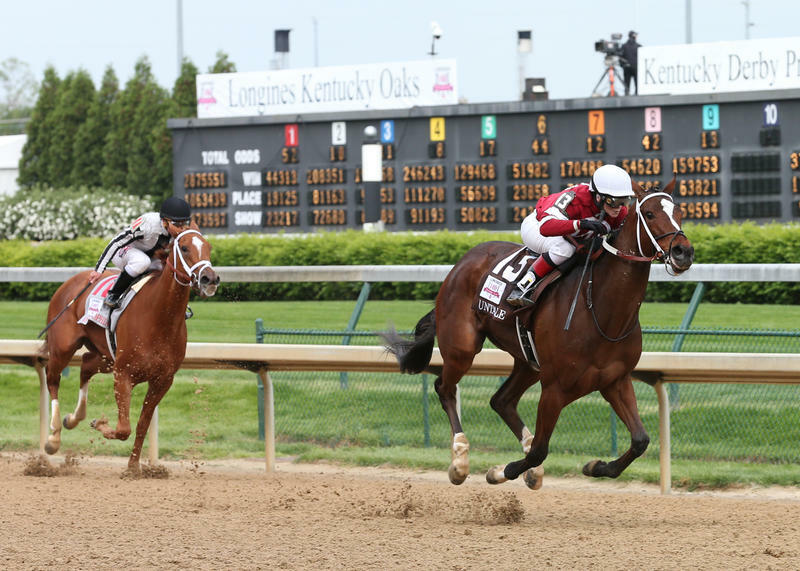 A late nomination phase for the Kentucky Oaks, which requires a fee of $1,500 to make a filly eligible to compete in the race, begins at midnight Saturday and continues through Wednesday, April 13. After that the owners of 3-year-old fillies will have a third and final opportunity to make their horses eligible for the Kentucky Oaks through payment of a supplemental entry fee of $30,000 at time of entry on Tuesday, May 3. 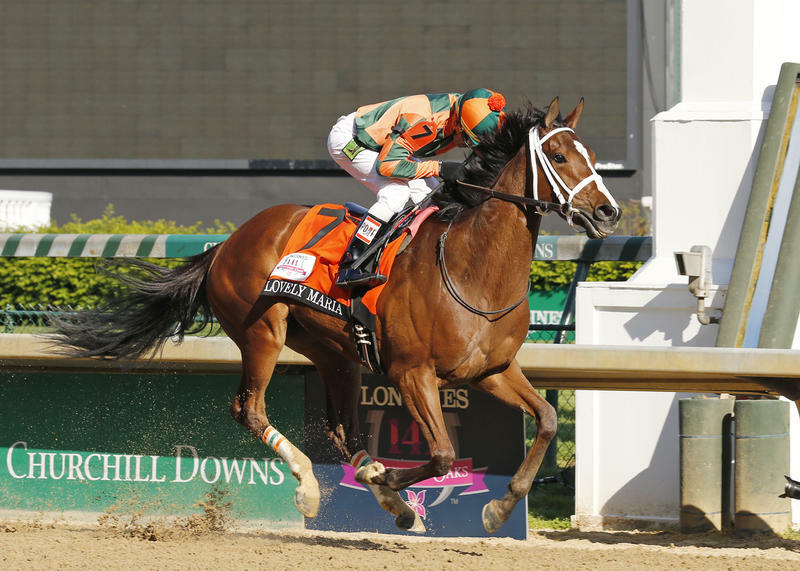 A maximum of 14 fillies may compete in the Kentucky Oaks, but entries can include up to four also-eligible entrants. Preference for the entrants in the field of 14 is based on points accumulated by each filly in the Road to the Kentucky Oaks points system. A $5,000 fee is required to enter the Kentucky and an additional $5,000 fee is required to start. 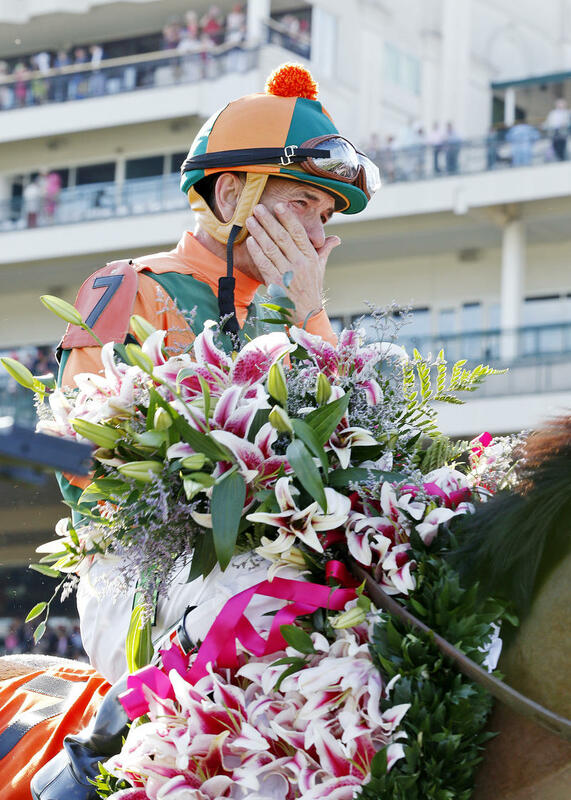 The 2015 Kentucky Oaks was won by Brereton C. Jones’ Lovely Maria, who was saddled by trainer Larry Jones and ridden by veteran jockey Kerwin “Boo” Clark. The win by the daughter of Majesticperfection was the third Kentucky Oaks triumph for both her owner and trainer, but the first for the 56-year-old Clark, who became the oldest jockey to win the prestigious race. The Longines Kentucky Oaks, like the Kentucky Derby, has been run annually and without interruption since 1875 and was among the featured events during that year’s inaugural racing meet at the track then known as the Louisville Jockey Club. The 2015 renewal of the Kentucky Oaks attracted record crowd of 123,763 one day before the Kentucky Derby set an all-time attendance record of 170,515. Last year’s running was the first time that Kentucky Oaks attendance had surpassed 120,000, and the Derby’s attendance exceeded the plateau 170,000 for the first time. 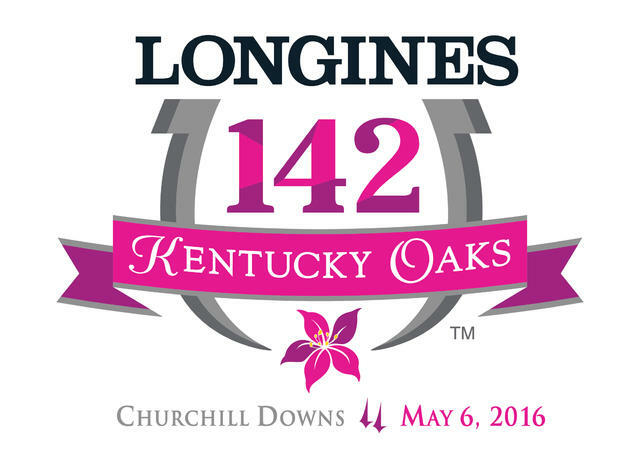 This 2016 Kentucky Oaks will be televised nationally on the NBCSN. Saturday’s deadline of 11:59 p.m. also applies to early nominations to the 29th running of the $500,000 Woodford Reserve Turf Classic (Grade I). The 1 1/8-mile race for 4-year-olds and up on Churchill Downs’ Matt Winn Turf Course will be run on Saturday, May 7 as part of Kentucky Derby Day racing program. The Woodford Reserve Turf Classic will be run immediately prior to the 142nd Run for the Roses. Each nomination to the Woodford Reserve Turf Classic must be accompanied by $200 fee. A late nomination deadline, which requires payment of a $1,000 fee, is set for April 13. The field for the Woodford Reserve Turf Classic is limited to 14 horses with two also-eligible entrants. If more than 14 horses are entered in the race, preference will be given to winners of graded turf stakes races and then to horses with highest turf earnings in 2015-16. The 2015 Woodford Reserve Turf Classic produced a thrilling finish as Donegal Racing and Rockingham Ranch’s Finnegans Wake got up in the final strides to win by a head in a three-horse photo finish. Victor Espinoza, who would win the Kentucky Derby for a third time just one race later aboard Zayat Stables’ eventual Triple Crown winner American Pharoah, rode Finnegans Wake for trainer Peter Miller. 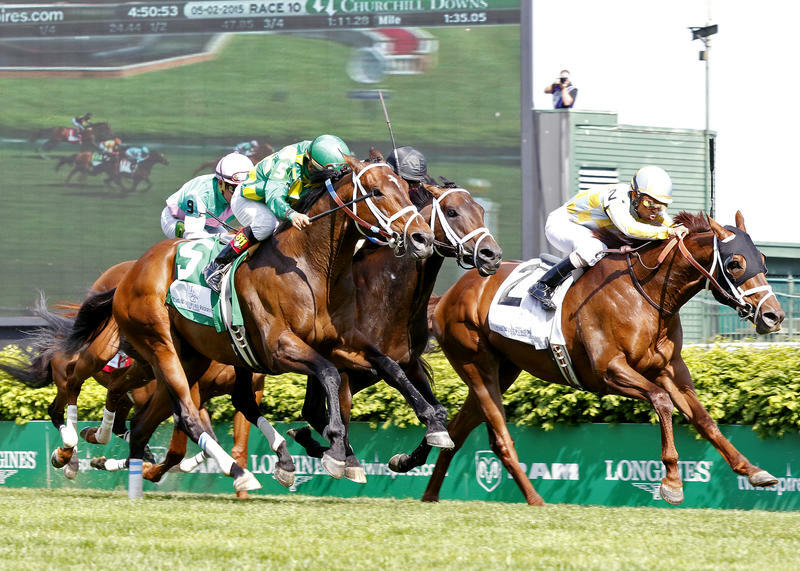 Nomination forms for the Longines Kentucky Oaks and the Woodford Reserve Turf Classic are available online at www.ChurchillDowns.com. Those nominations can be made via mail, telephone or fax – but the nomination process must be completed prior to midnight on Saturday. Nominations by mail must be postmarked by Feb. 20 and should be addressed to Racing Secretary Ben Huffman at Churchill Downs, 700 Central Avenue, Louisville, KY 40208. All mailed nomination must include payment of the nomination fee. Nominations can also be made by telephone at (502) 636-4470, of via fax at (502) 636-4479. All faxed nominations must be completed on or prior to Feb. 20.